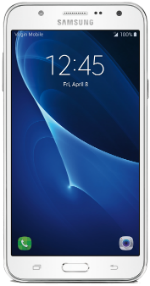 The Samsung Galaxy J7 comes with a 5.5-inch HD Super AMOLED display that provides sharper text for easier reading. Powering the device from within is a 1.4GHz Octa-Core processor with 2GB of RAM and an internal storage of 16GB. The Galaxy J7 has a 5MP front-facing camera with flash and a 13MP rear-facing camera with quick launch. It is powered by a 3,000 mAh battery that gives it its needed battery to live up to a full day on a single charge. Upon release, the phone runs the latest Android 6.0 Marshmallow OS.